I have encountered the speed bug now, too. 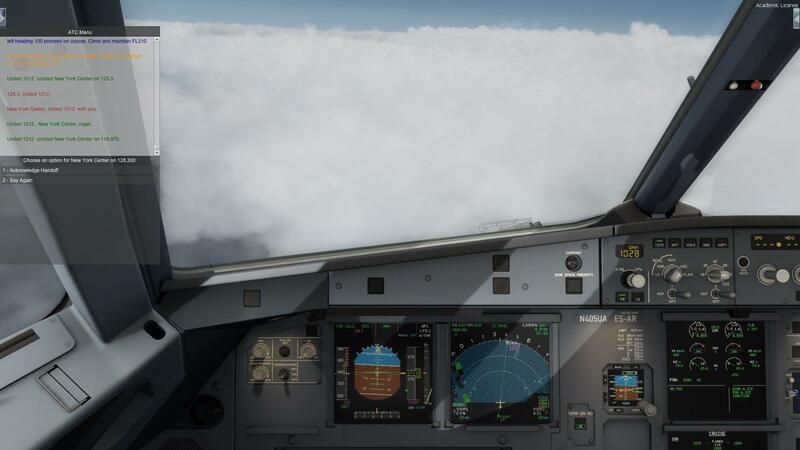 Its happend after the step climb from FL340 to FL390. The managed speed dropped down to 109. I have just a video showing the bug, not when it appear. 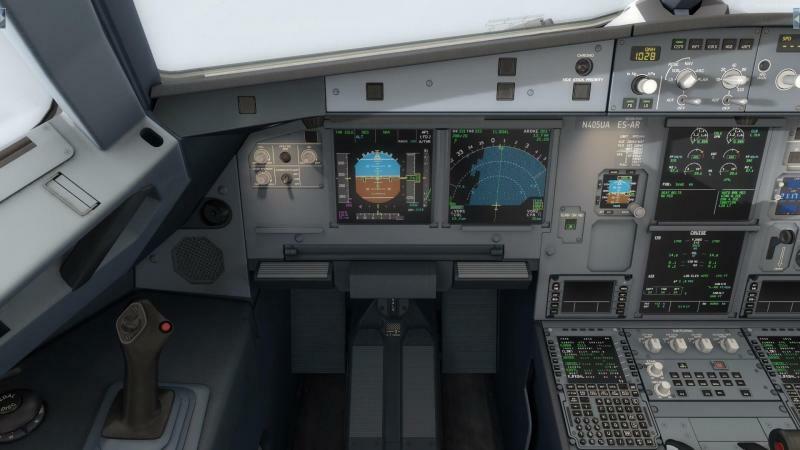 I test today a flight with A320 IAE from CYUL ( Montréal) to KJFK (New-York). I said no problem for take off, climb and cruise. 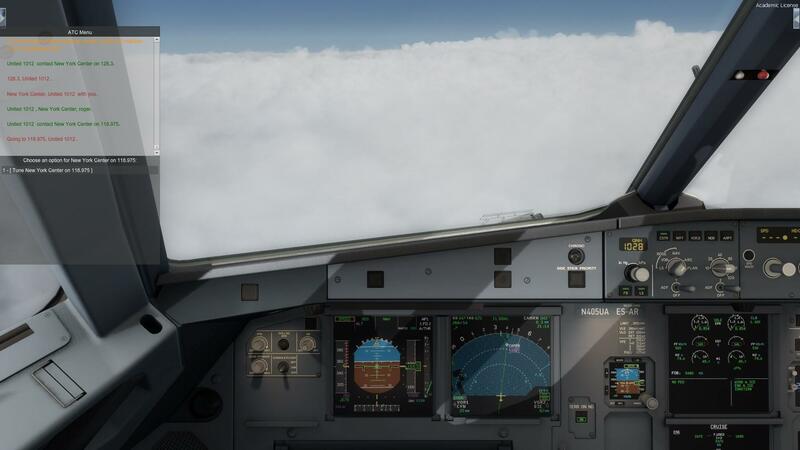 On approach the AP try to respect the altitudes constraints but not the managed speed. It was disastrous. You can see that on the pictures.. When can hope for an update ? Its seems there are fewer problems with airbus CFM. I know that i'am not the only one, but i also want to testify to these difficulties. The diving and speed increase over the upper managed speed limit is a separate issue and it's going to be addressed on the next experimental update. the pln plan is what i loaded into the bus. tncakbos01.pln. I need the .flp file, or did you enter it manually? You can not load .pln file into the bus. So when having the same waypoint 2x, you obviously did something wrong. i shall test the same flight with an aibus 320 CFM. despite 5 clean installs, I am no further ahead with issues here. In order that I may use the product, will you make available on the account downloads the previous version (1.1.1.0) or so. This will allow me to have full use of the product, and will give your people respite time to correct, if any, problems from your side. I am more than happy to revert to the old version...in short...it worked for me. As you might have noticed we have released 1.2.3.1 Experimental update through the updater. 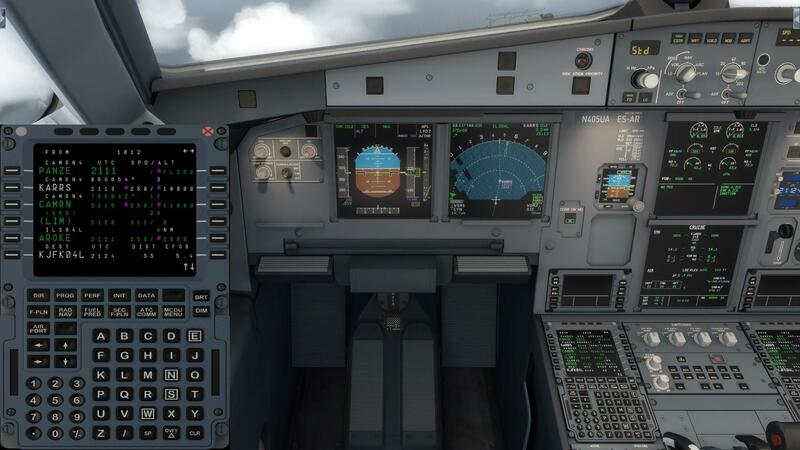 If you are experiencing managed speed issues still it's crucial you update to the latest version and enable logging through the control panel and attach them on this thread if the managed speed issue happens on your flight. We have enabled multiple new features to be logged on the update that hopefully sheds some light to this issue. We appreciate all the help we receive and are still working hard towards finding the issue and getting it fixed as soon as possible. Thanks for your patience. 1.2.3.1. lost my mcdu 3 now. just blank. And you rebooted after installing? Not sure why that that is a managed speed issue but if you reboot your system as the updater asked I am pretty sure you will find it working. Ok, so I installed the 1.2.3.1 update, and replicated the previous flight I reported a problem with. This time I had no problems using managed speed through takeoff, climb, and cruise. However, I did experience a problem during descent. 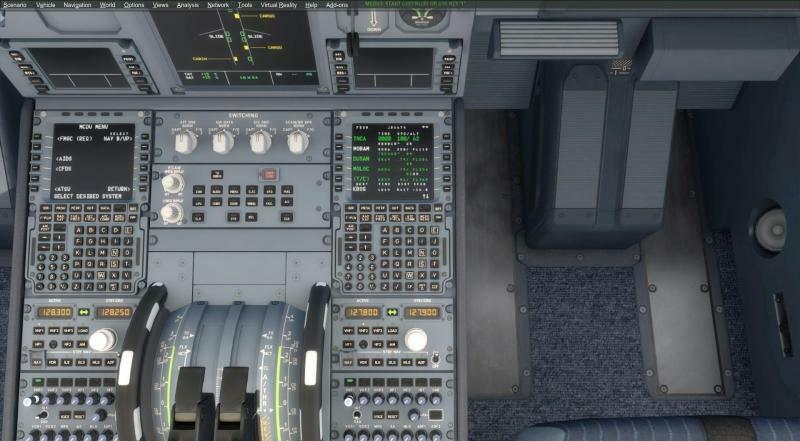 commanded speed suddenly dropped to 181 KIAS when passing through FL280. It appears to be when it switched from MACH to KNOTS speed. The MCDU Descent speed showed .79/181. It didn't have much of a problem following the .79, but as soon as it passed FL280 it switched to 181 knots. This, of course, is way too low of a calculation. (I have always seen around 292 knots, give or take a few, during descent.) So it looks like it was right in trying to follow 181 knots, even though that calculation is wrong. I then put it in managed mode for the rest of the flight. I did also noticed I am still seeing the nosedive issue upon initial descent. Given the problems with this, I manually commanded the descent to begin around 15nm before the calculated TOD point. It initially did a dive to between 4500-4800fpm, although it eventually reduced to around 2000fpm after a few minutes. Perhaps I will try beginning the descent around 20-25 miles before calculated TOD. In any case, video, flight plan, and all log files are attached below. Also me the same...when reach CRZ the speed IAS/MACH drop in Managed mode...seem like drop to approach speed. Had 3 or 4 successful flights on v1.2.3.0. 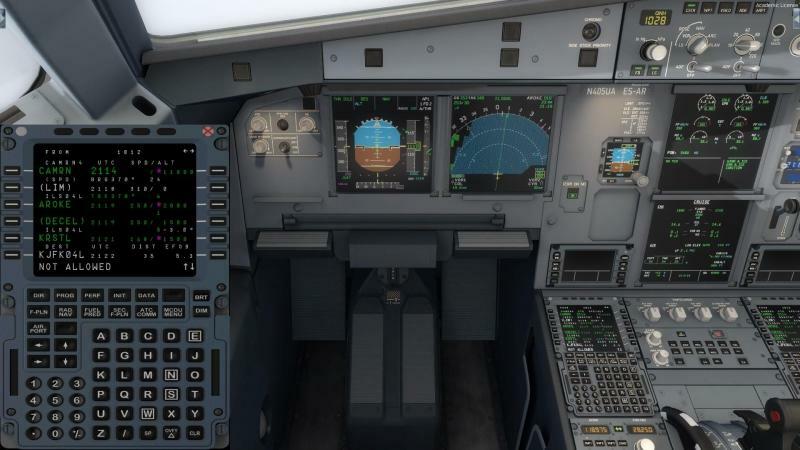 Updated to v1.2.3.1 and encountered a problem with A321 on first flight where managed climb was stuck at 210 kts though CLB Perf page showed 318/.79. DES page showing 211 kts - very low speed which I have found to be symptomatic of managed speed problem. Images, logs, and flight plan attached. Oddly I just did 3 test flights with the A321-CFM, no issues noted during any of them, and it actually followed the descent profile quite nicely. reposted as requested with an update after.. I have not seen this issue on any flight before. Ran into the managed speed issue that still happens but for me at least very rarely now. After switching the arrival rwy in the MCDU the problem went away as before, but now I am climbing at less than 500 ft/min in managed mode with a CI of 80. My epr is 1.517 and the CLB rating shows 1.519. I have flown this heavy in the past with no issues. If I go off A/T or push the levers to max nothing changes with regard to engine output. I show the modes as THR CLB CLB NAV. All MCP buttons are pushed to the plane. Flew the exact route again. Same time/day/wx/ Same load sheet from the aerosoft load manager. Normal behavior this time...it's a real head scratcher. My MCDU preflight is always the same as I run a checklist on that. I Totally agree with the above. the predicted TOD is incorrect. all my other modules predict TOD very early despite the aircraft type and size for the same route and weather. even PFPX predict the TOD early for the A320. I suspect the issue is somewhere in the vertical profile calculations that affect managed speeds, TOC and TOD. Re-flew this flight today and made it through CLB and CRZ and initial DES @ approx. 289 kts. 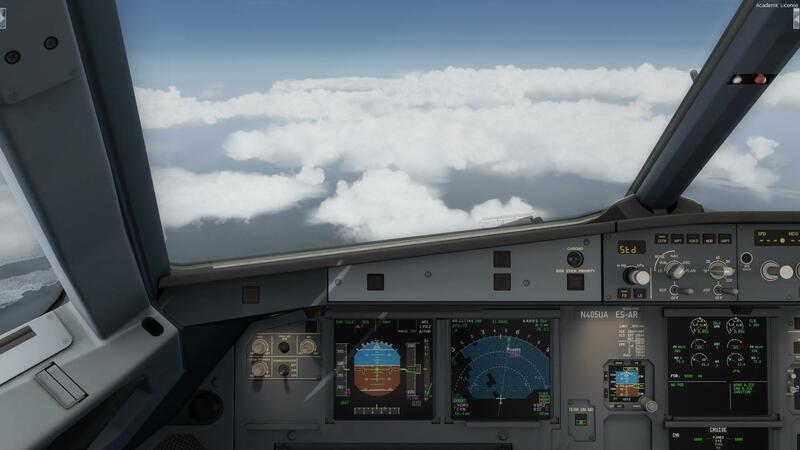 Just before BITTY on my SIZLR 3 RNAV arrival the DES speed dropped to 210 kts. I did not see any speed restrictions and I was still above 10,000 ft. Images, logs, and flightplan attached. Thanks for the reports. There are still weird elements to this (we had two users who had major issues and who re-installed the sim and add-on and saw the issue has gone) but we are trying to focus on what could cause it for some users. Now we got the Stuka dive issue under control this is the main issue Robert is working on. The above image of the flight plan was obtained after restarting P3Dv4 and reloading the a/c and flight plan. Unfortunately, I did not think to get a shot when the problem was first noticed.